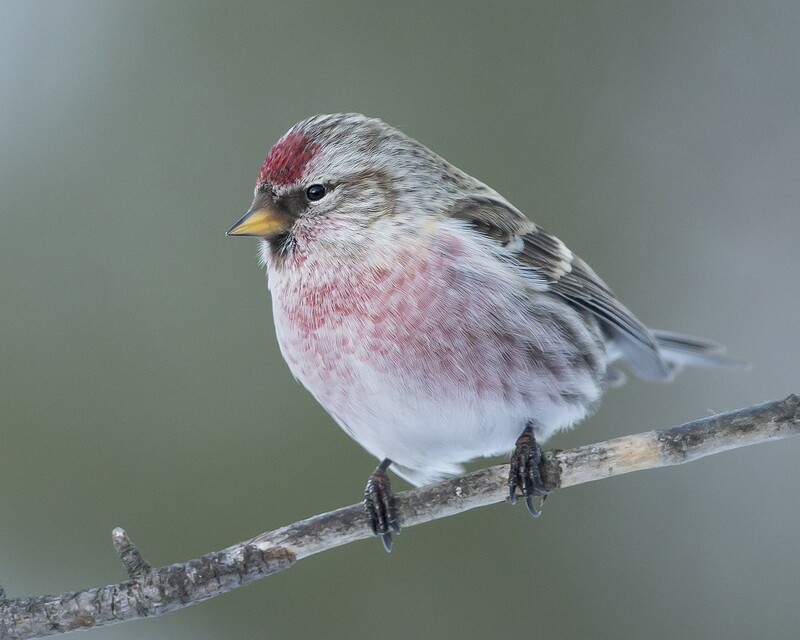 is a species of bird in the finch family. 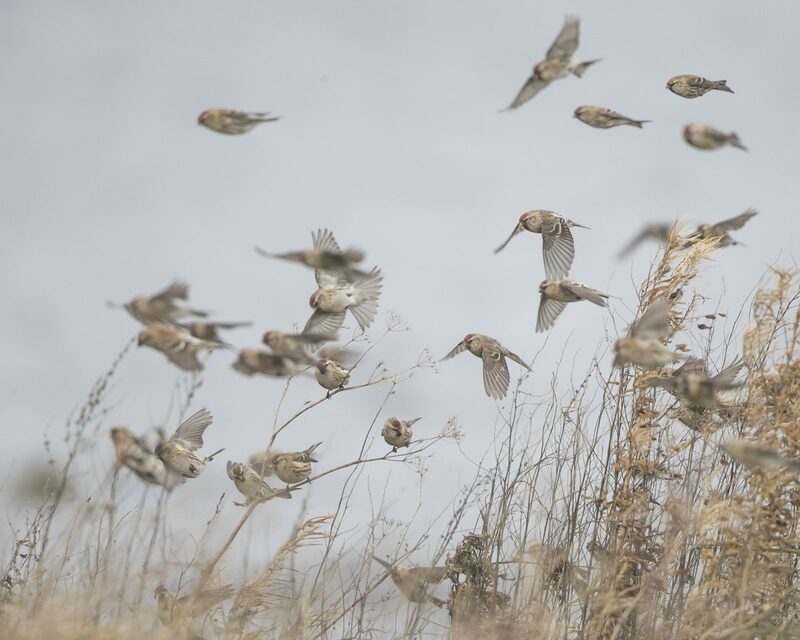 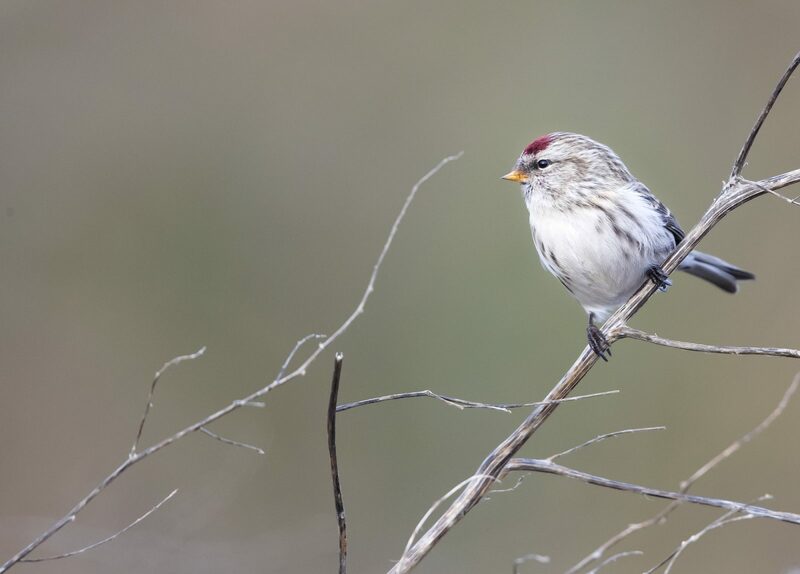 It breeds somewhat further south than the Arctic redpoll, also in habitats with thickets or shrubs. 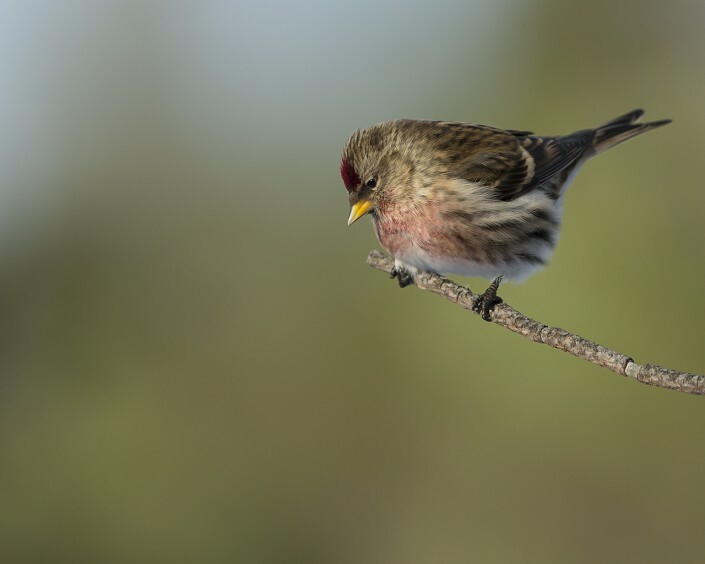 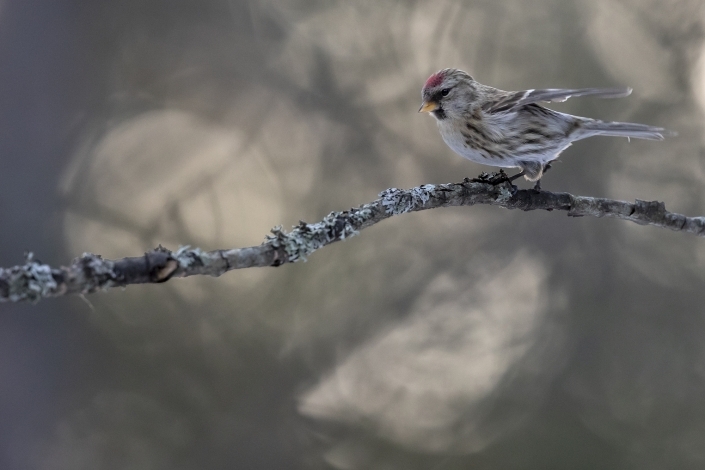 The nominate subspecies A. f. flammea, the mealy redpoll, breeds across the northern parts of North America and Eurasia. 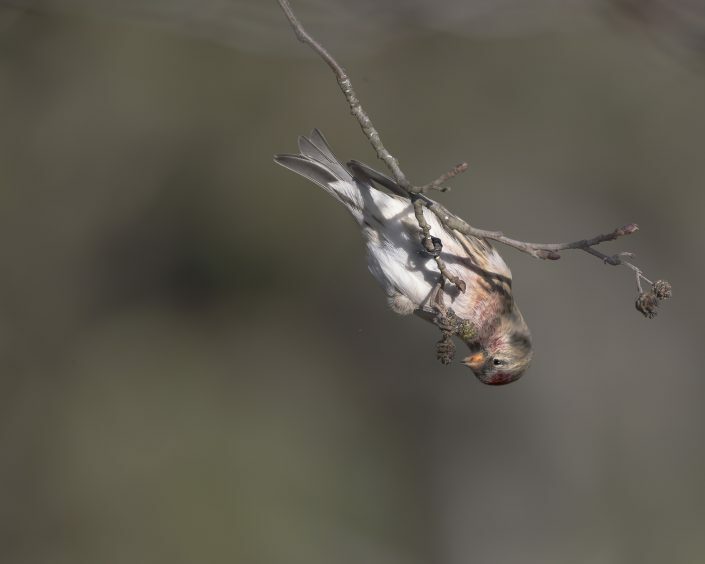 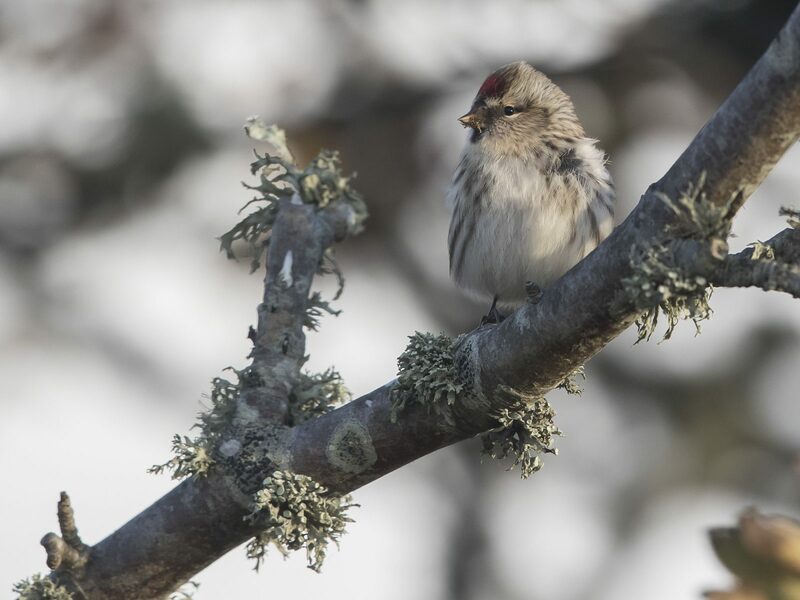 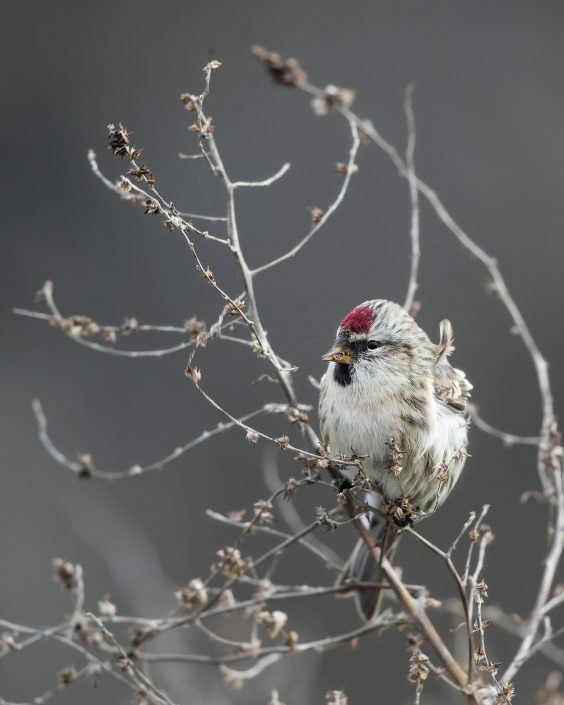 There is also an Icelandic subspecies, the Icelandic redpoll (A. f. islandica), and one that breeds in Greenland and Baffin Island called the Greenland redpoll (A. f. rostrata). 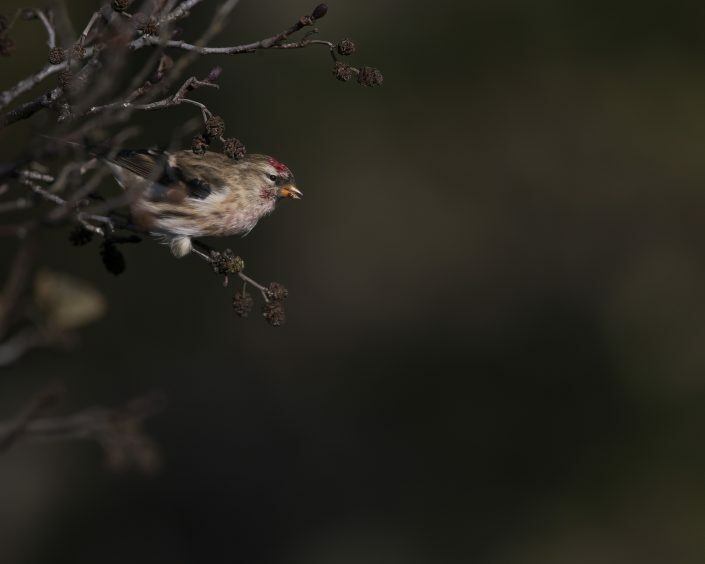 Many taxonomic authorities consider the lesser redpoll a subspecific form of the common redpoll. 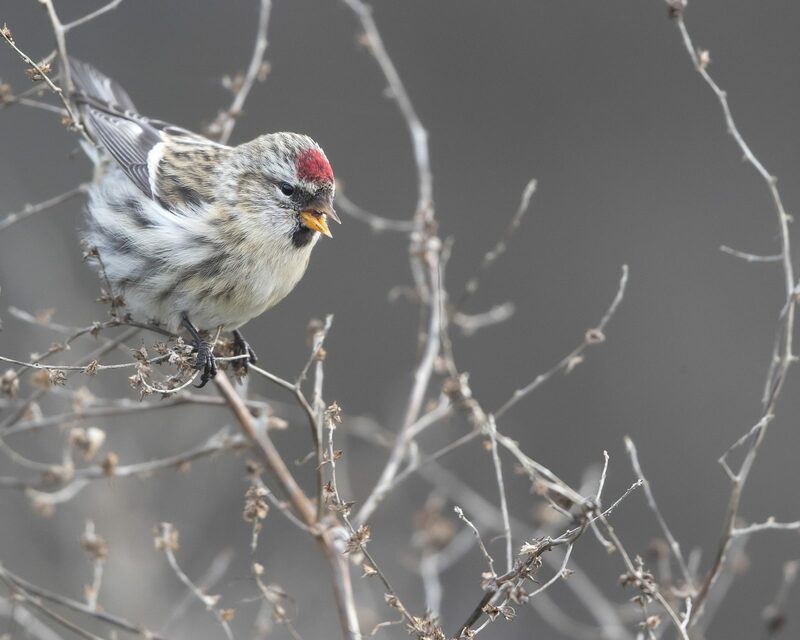 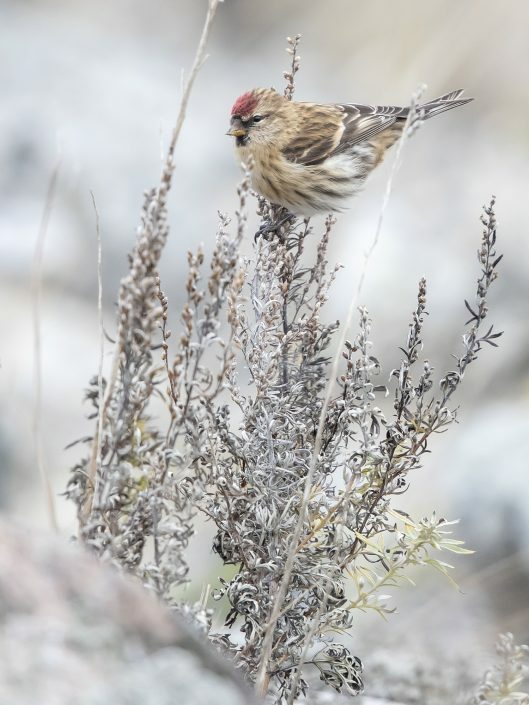 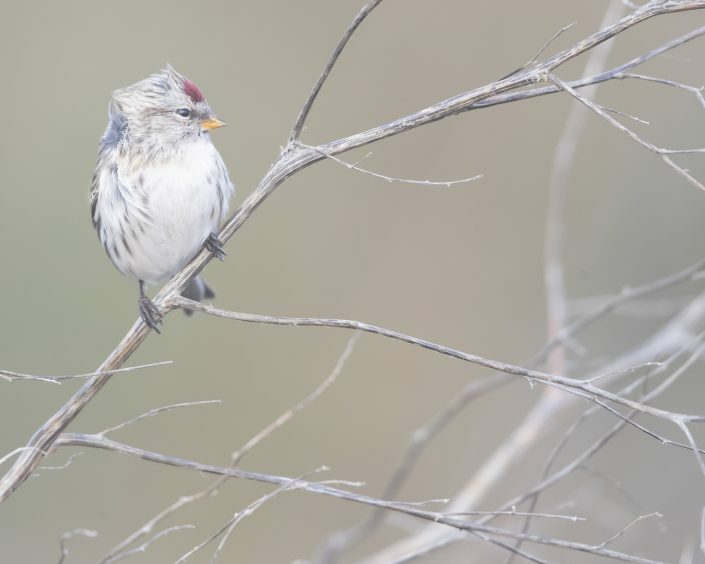 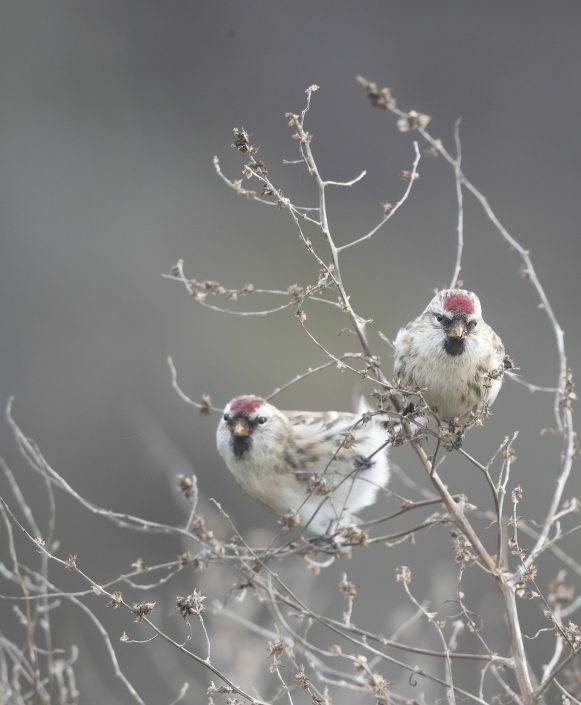 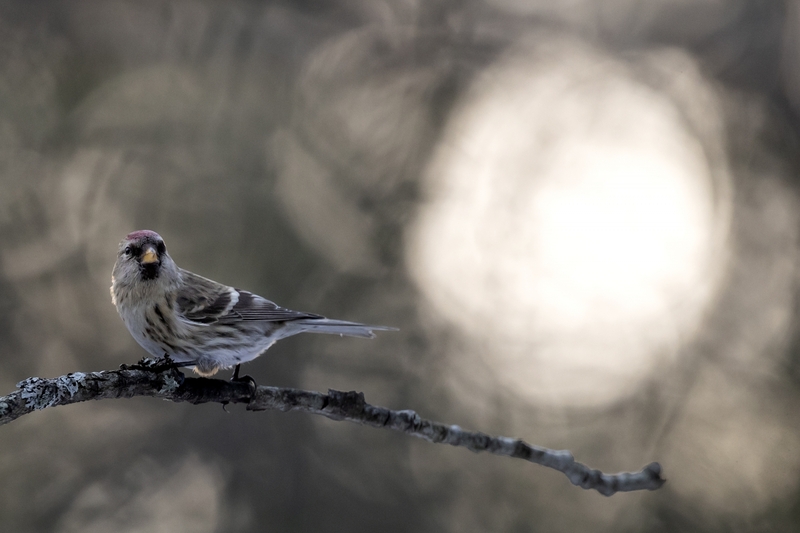 Together the Iceland and Greenland forms are sometimes known as ‘northwestern redpolls’. 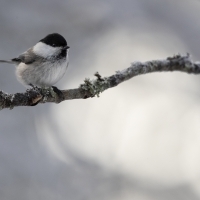 All forms migrate south into Canada, northern USA, or Eurasia. 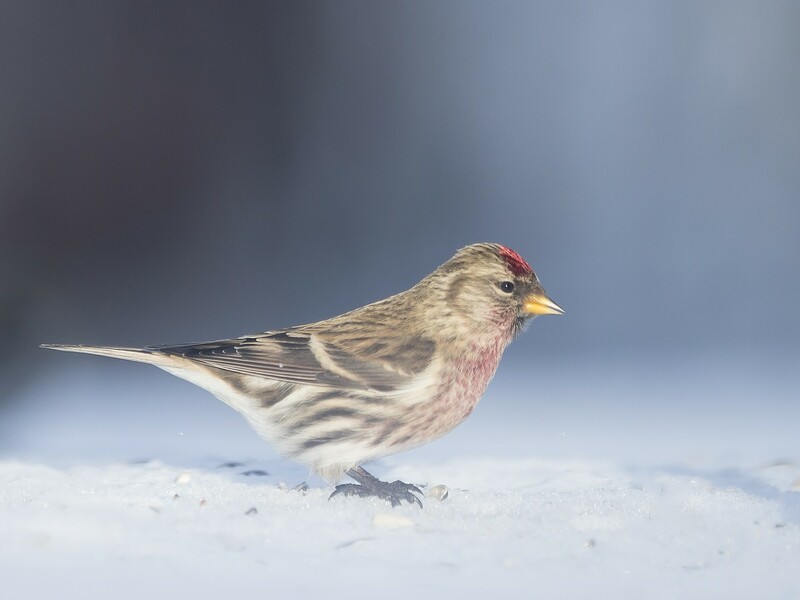 These birds are remarkably resistant to cold temperatures and winter movements are mainly driven by the availability of food. 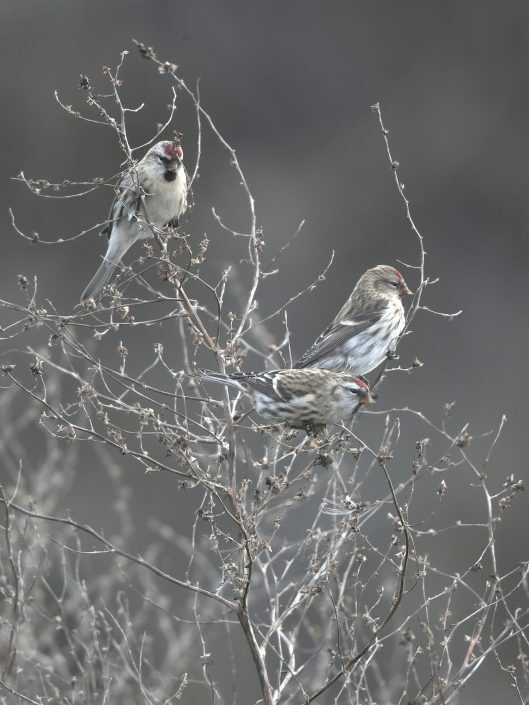 There are two distinct populations (one lighter, one darker) united in islandica, the relationships of which are unresolved. 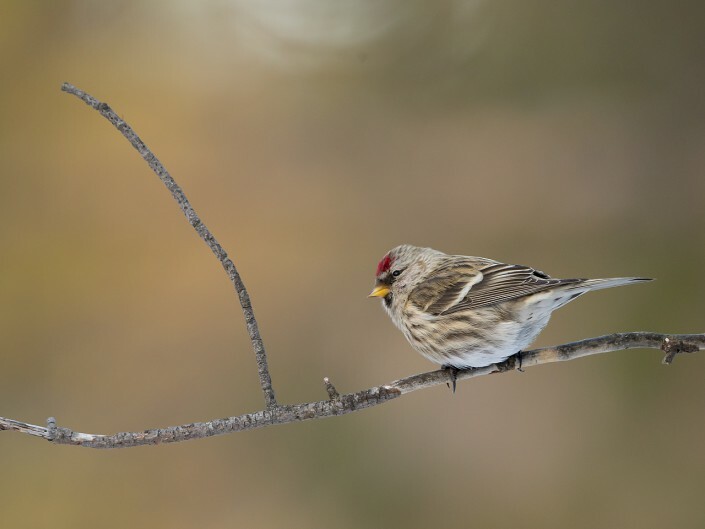 The common redpoll is a small brownish-grey finch with dark streaks and a bright red patch on its forehead. 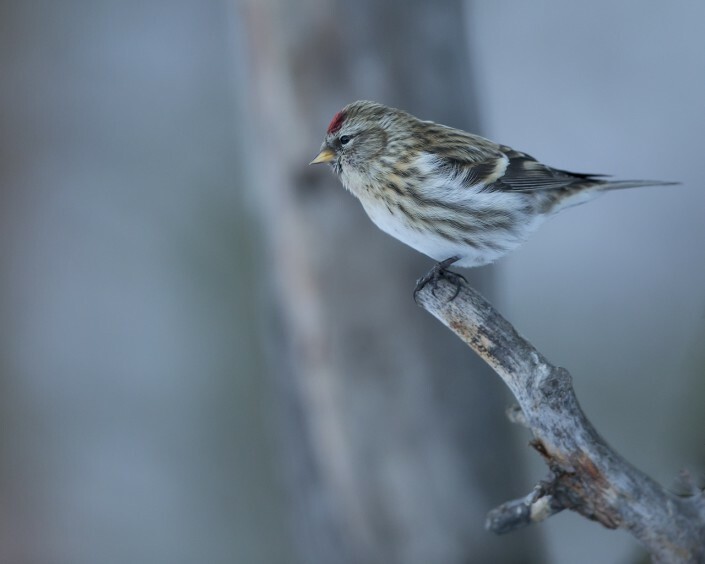 It has a black bib and two pale stripes on the wings. 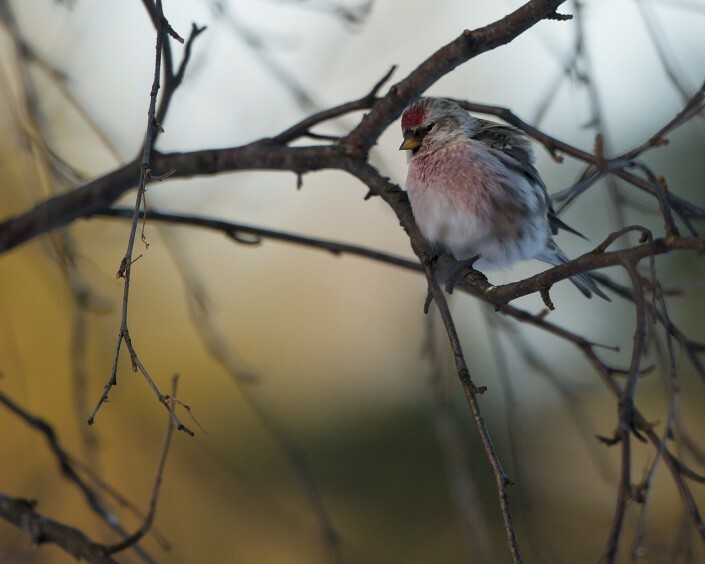 Males often have their breasts suffused with red. 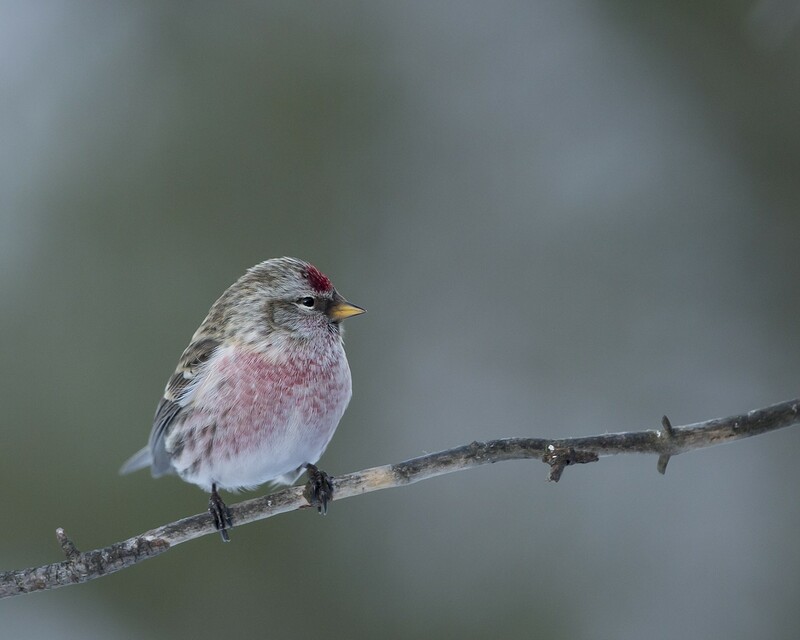 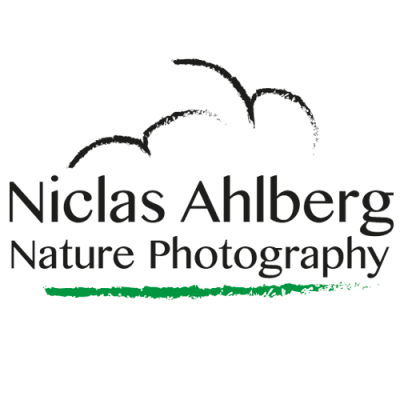 It is smaller, browner and more streaked than the generally similar Arctic redpoll, adults measuring between 11.5 and 14 centimetres (4.5 and 5.5 in) in length and weighing between 12 and 16 grams (0.42 and 0.56 oz). 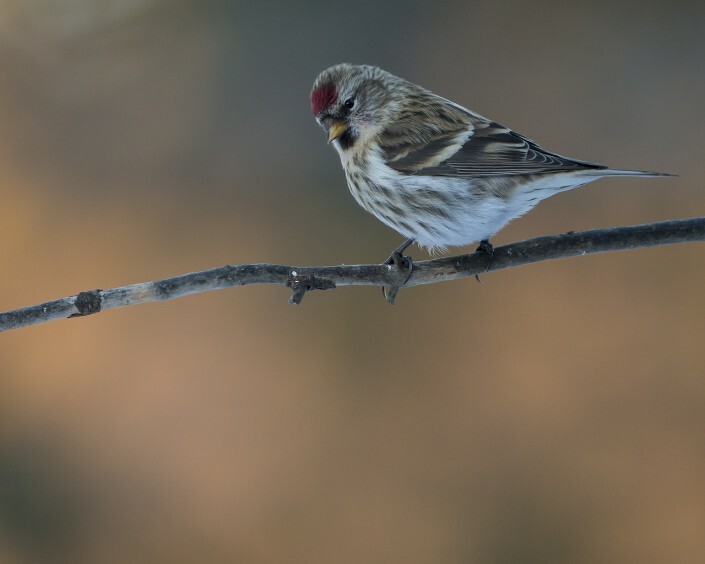 The rump is streaked and there is a broad dark brown streak across the vent. It has brown legs, dark-tipped yellowish bills and dark brown irises.